In addition to consideration of factors affecting reproductive success and care of young in banded mongooses (Mungos mungo), I also collaborated with Dr. Emily Otali of Makerere University Institute of Environment and Natural Resources on the effects of human garbage dumps on demography and home range use of the mongooses. 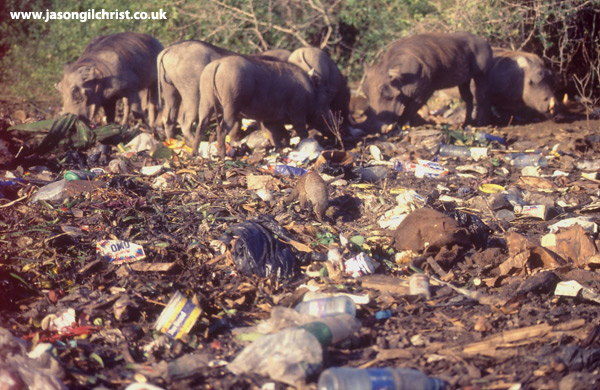 Effective disposal of waste within protected areas is a major issue for the welfare and conservation of species. We looked at the effects of anthropogenic effects on population dynamics and produced a couple of scientific papers (see below) and two reports submitted to the Uganda Wildlife Authority to encourage improved management of waste disposal Gilchrist et al 2002 and Gilchrist et al 2003. Otali E. & Gilchrist J.S. 2004. 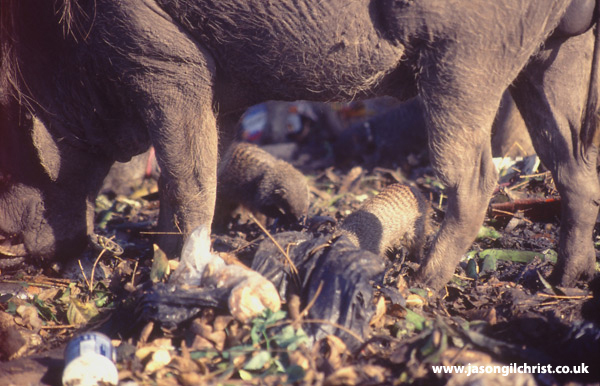 The Effects of Refuse Feeding on Body Condition, Reproduction, and Survival of Banded Mongooses. Journal of Mammalogy 85: 491-497. 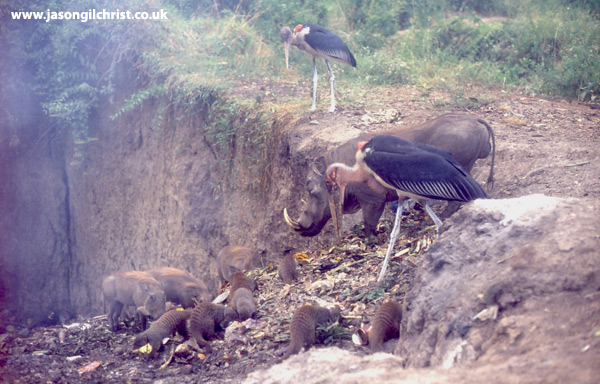 Video clip from BBC Vets in the Wild (Uganda 1999) featuring our research can be viewed here.